This is my second time making a coat from this pattern. 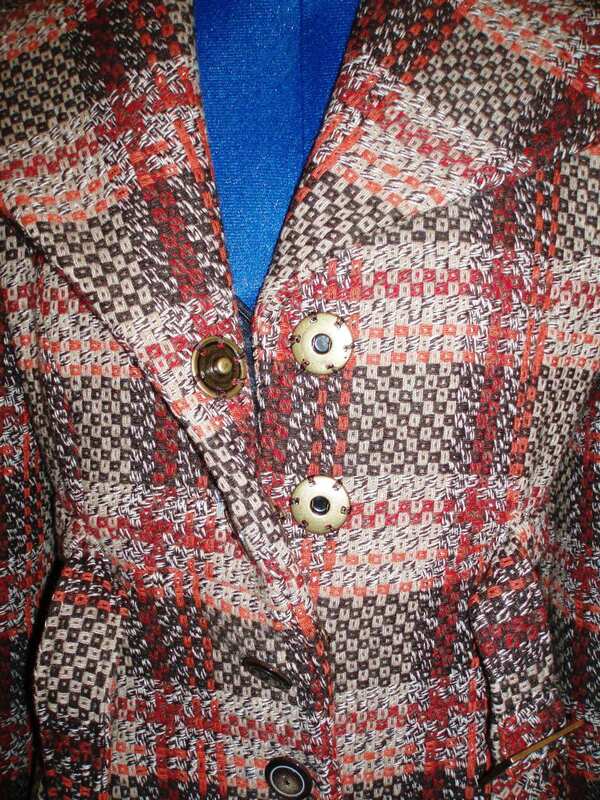 Two years ago I made the jacket from this pattern. The differences this time around is that I chose the shawl collar and the above-knee-length of the coat. 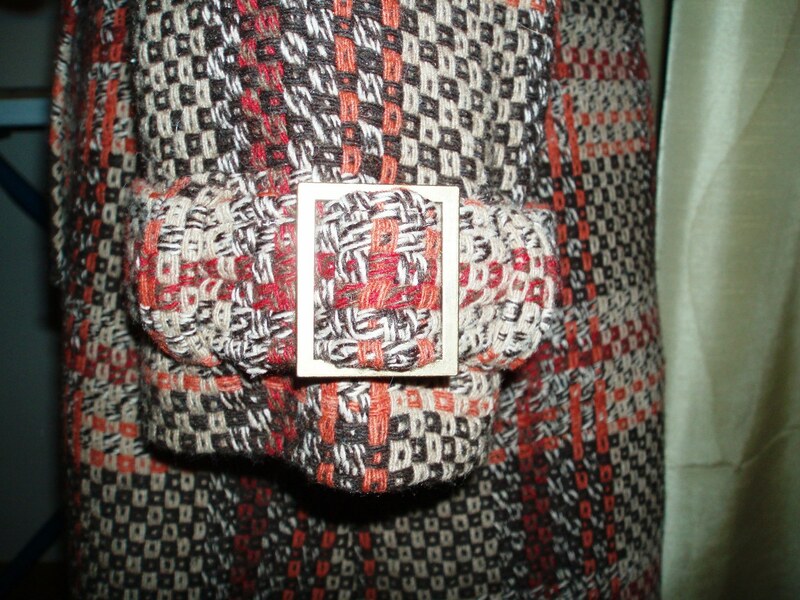 This particular variation includes belts for the waist and sleeves. 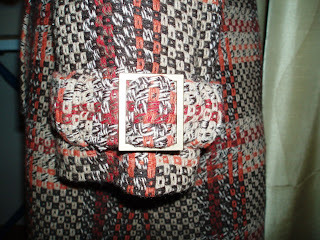 Notions: Five 1″ buttons, One 1-11/16″ x 1-15/16″ buckle, and 2 1-7/16″ x 1-11/16″ buckles from eJoyce.com. I didn’t make any changes to the pattern and pretty much followed the directions to the tee. I skipped the dropped lining at the bottom of the coat and just made an even hem. I couldn’t figure it out when I made the jacket, and I didn’t feel like messing with it this time. I had planned to add some fusible fleece to the lining, but I thought it would make the coat, with its already thick fabric, too bulky. Now I kind of wish I had added the fusible fleece to the back pieces, but it’s done now. I’ll just wear sweaters underneath it. Oh, I also sewed on snaps instead of making buttonholes. 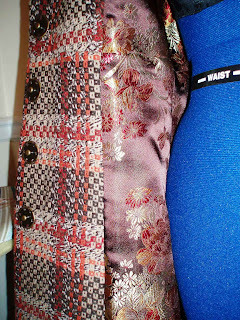 The fabric was too thick for my buttonhole function to work, and I couldn’t stomach the idea of handsewing them. My mother suggested snaps, and I say that was a brilliant solution. Mom to the rescue! 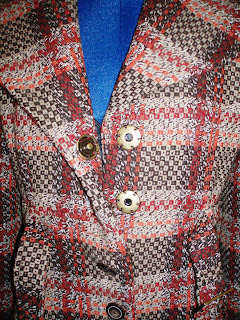 I sewed the buttons on top for the look of it. Pictures are below. Next up: some new work outfits. Your coat is beautiful. I did snoope coat shopping at Old Navy yesterday, none that I saw rivals yours. Great job with the pattern matching! What a fantastic coat and great idea using the snaps! 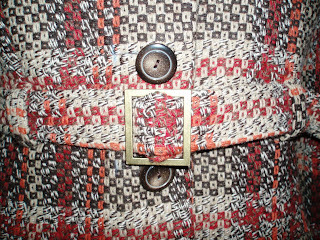 Gorgeous coat, you have done a great job. So cute! I want it!!! You should be congratulated! 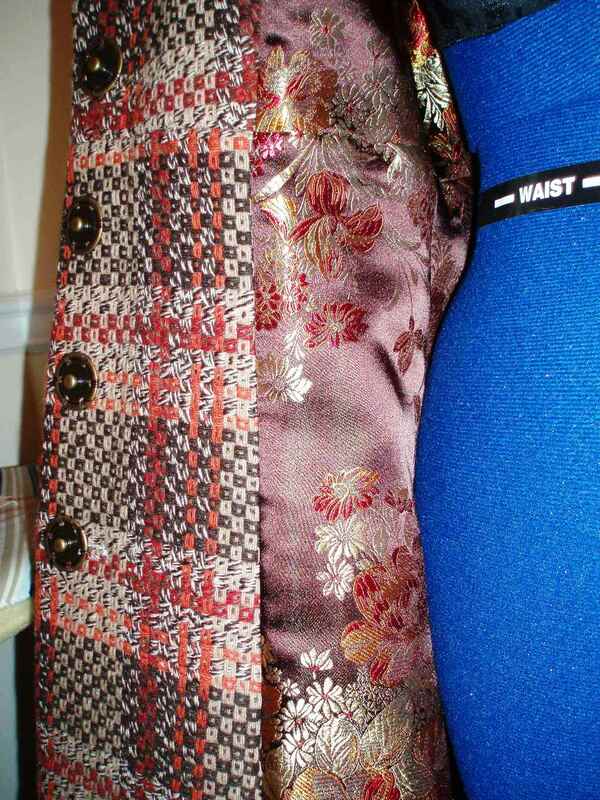 Great cut, fabric, workmanship and very yummy lining fabric. Bet you can't wait for the cold to roll in. I love your coat you did a great job. Girl you did a great job! I have that pattern, you are making me want to give it a try. I love it! You've done an excellent job. You've inspired me to pull this pattern out of my stash. Gorgeous coat!!! 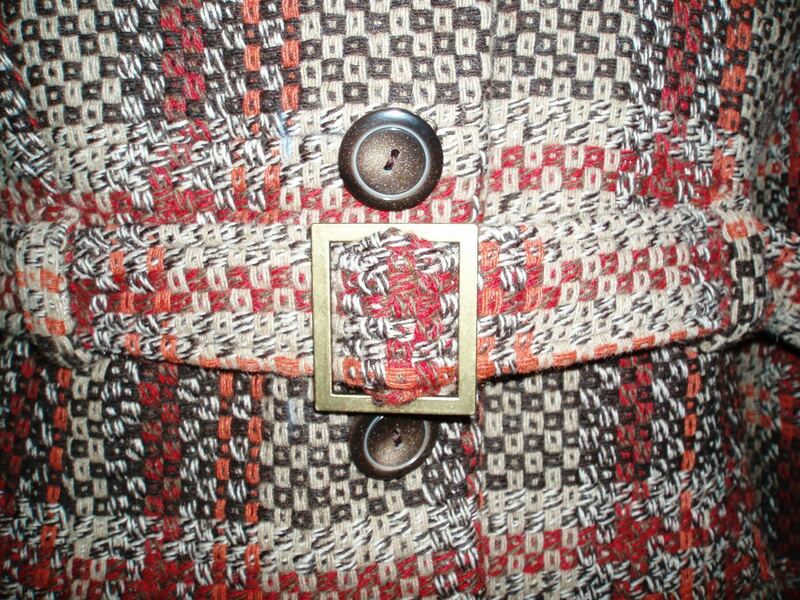 I love the colors and buckle accents! The style is so lovely. You make me want one!!!! BTW, great job on matching the plaid!! !